The coming of spring brings a new quality to the light. This photograph was taken while on a walk on a lovely early spring day. I could feel the warmth of the sun and the light had a fresh quality accentuating the lime greens of the fields. 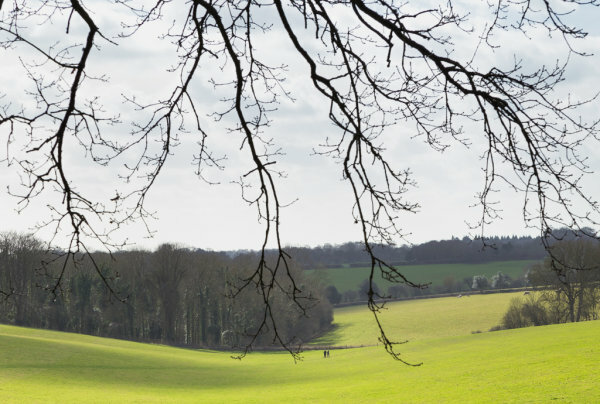 This photograph was taken looking across to English Farm, where there is a lovely footpath that takes you down a sweeping valley. There is a lovely sense of space as you walk down.